Rose Glen Tinton Falls homes for sale. 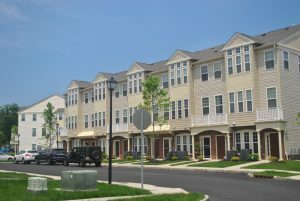 Looking for more Tinton Falls condos? 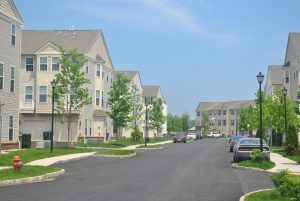 Call 732-598-7700 to see the Rose Glen Townhouses For Sale. Construction started in 2013 in Rose Glen Tinton Falls. This community of 232 homes has four different floor plans are available. These homes have between 1154 and 1879 square feet of living space. You may find a home with either two or three bedrooms. Also, a one car garage is standard in these homes which can have either two or three levels. Rose Glen Townhouses has sold out of the new construction. Buyers will be looking at resale homes. This community is approved for FHA financing, however, this approval expires in May, 2019. Rose Glen allows pets in the community. Because FHA financing is approved in Rose Glen, you can purchase a home with a low down payment FHA loan. However, there are other alternatives that will also allow you to purchase with a low down payment. If you call us at 732-598-7700 we can discuss this further. Commuters love Rose Glen because of the location. You can choose either bus service or rail service to New York City. The New Jersey Transit North Jersey Coast Line is available either at the Asbury Park or the Red Bank station. Bus service to New York is available at a Park and Ride located at Exit 109 of the Garden State Parkway. And the Garden State Parkway and Route 18 are close. You can find exciting night life nearby in Pier Village, Long Branch. Plus, it’s a short ride away. Also nearby are the Asbury Park beaches, which were recently voted the number two best beaches on the east coast. Tinton Falls’ School District provides educational service for children in kindergarten through the eighth grade. When students enter high school they will attend Monmouth Regional High School. 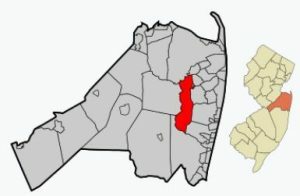 High school students also have the option of attending schools in the Monmouth County Vocational School System. Specialized curriculum are provided at each of the seven full time high schools in this system. Part time courses in the automotive fields, culinary arts, building trades and more are also offered. Also, private schools are available nearby. Call 732-598-7700 to see the Rose Glen Tinton Falls homes for sale.